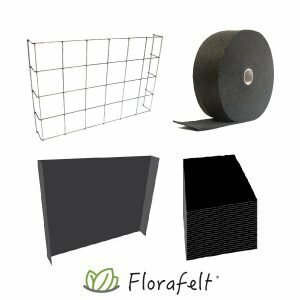 Use 6-inch Grow Strip with custom 6 x 6 inch stainless steel 304 with 1/4″ wire grids to create extremely robust vertical gardens. 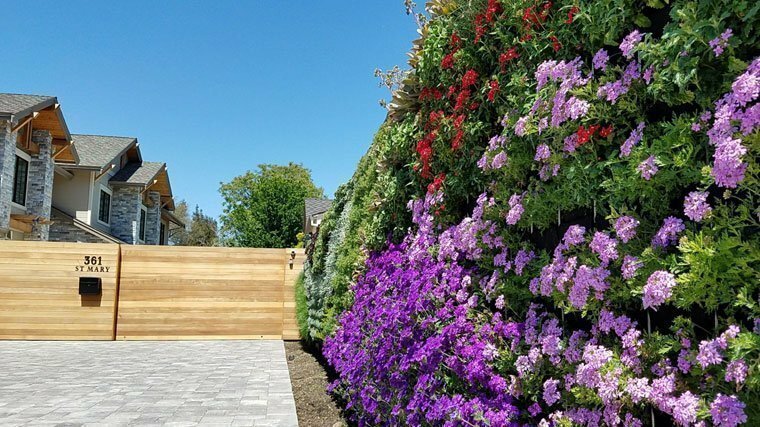 Planted Design used the Florafelt Pro System to create a breathtaking living wall installation for their client’s private home in Pleasanton, California. Showplant Nurseries assisted with the felting and planting and ongoing maintenance. 16″ root wrappers to accommodate larger sized plants that can simply be wrapped and inserted into the pockets. Root Wrapped plants done off-site also make for an extremely rapid and tidy installation on site. Plants can easily be changed by pulling out the wrapped plant cleanly. 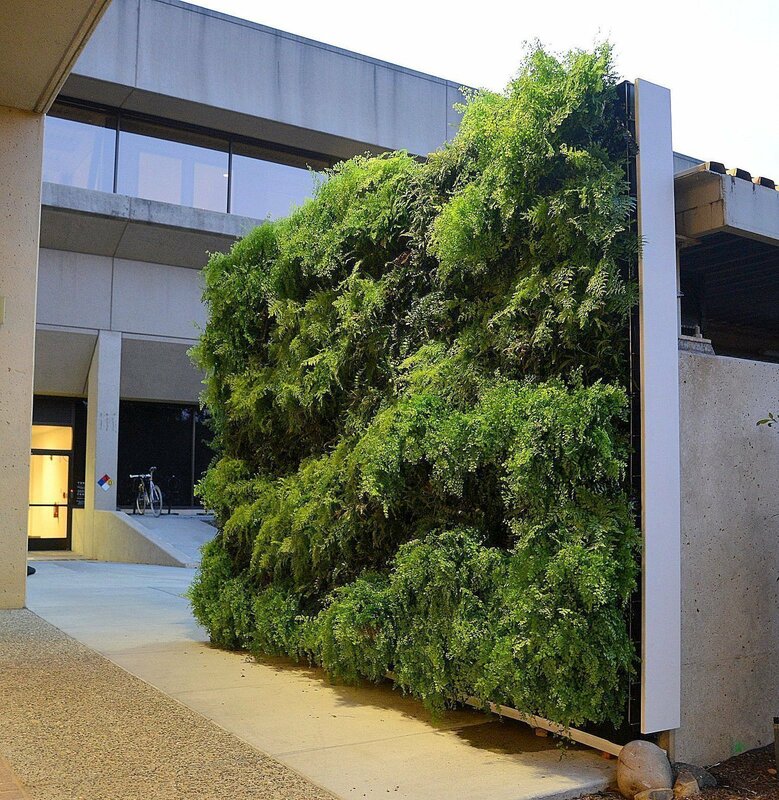 A 12′ x 8′ Fern Wall Vertical Garden designed by Chris Bribach of Plants On Walls. Using the Florafelt Pro System Stainless Steel Grid units mounted to a galvanized unistrut frame. 384 Root Wrapped Ferns were added by Arnulfo DelReal of The Plant People. The pre-wrapped ferns were inserted into the felted grids to create a design wave of green as requested by the client. 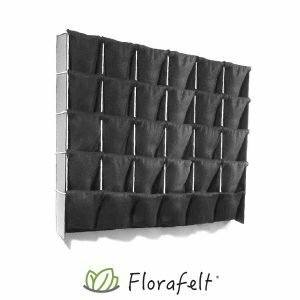 Florafelt Pro System Vertical Garden. Mountain View, California. Lindsey Graves of Living Green Design demonstrates how to use Florafelt Grow Strip into a grid. Grow Strip should be woven deep into the grid about 3/4 down. This allows for better water distribution and ‘locks’ the plants in. As you weave in the Grow Strip, use a wrapped plant as a guide for setting the depth. The wrapped plant should set completely in the pocket so the top of the plant is level with the bar. When done correctly you may need to push up the plant above to get the plant below out. 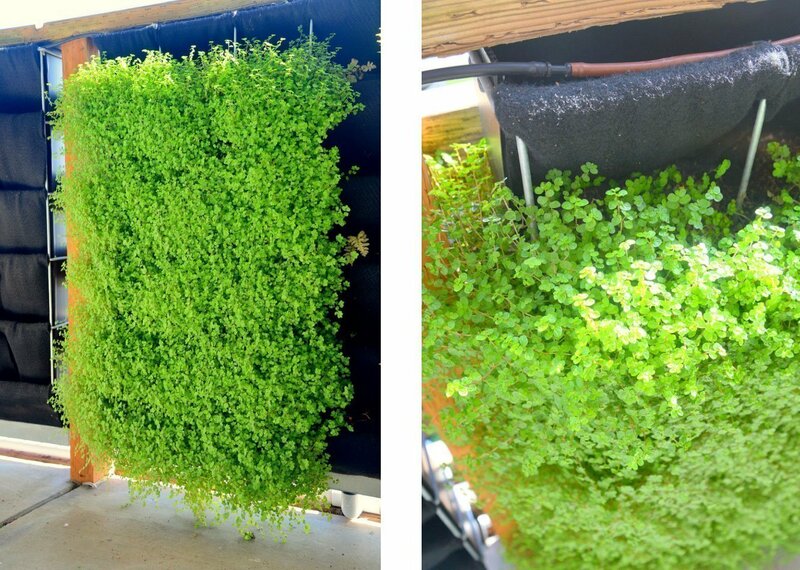 Learn how to use the patented Florafelt Pro System to create a robust and versatile vertical garden. 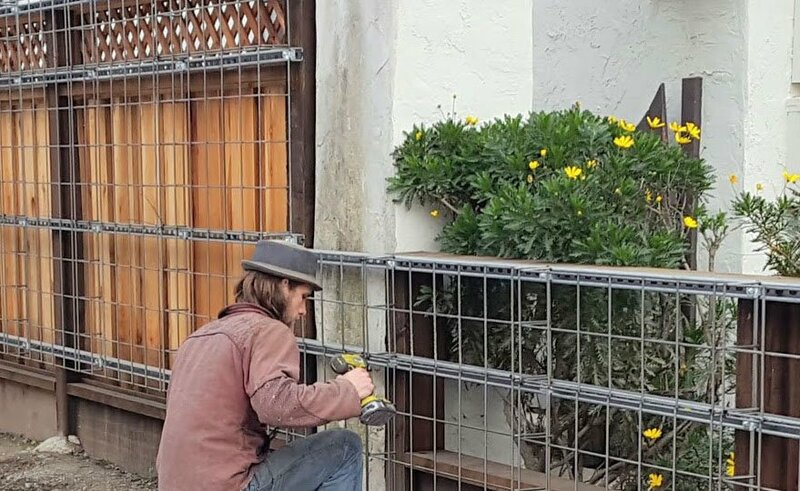 Chris Bribach demonstrates how to weave Florafelt Grow Strip and Root Wrap plants of various sizes for Alex Hawley’s backyard succulent living wall in San Francisco. 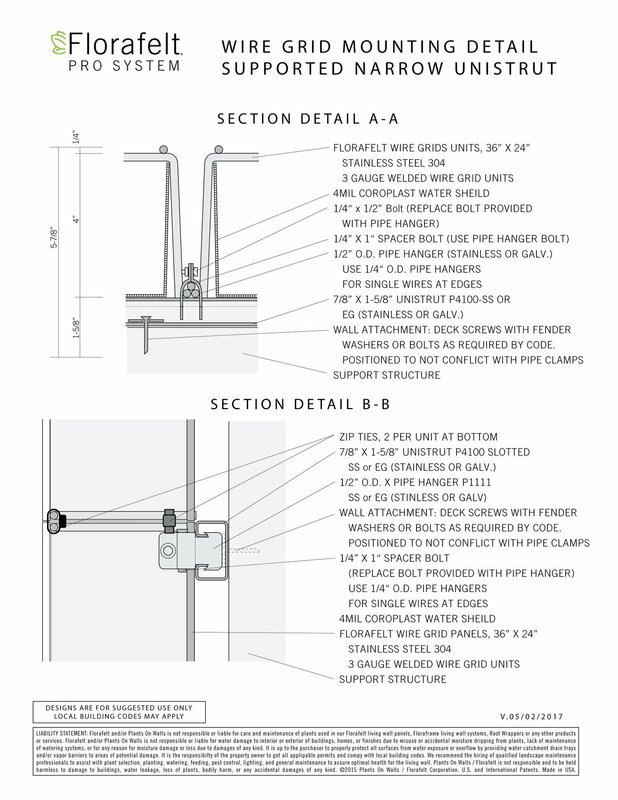 The larger strut can be used to create a plant wall on posts, without a wall behind it. 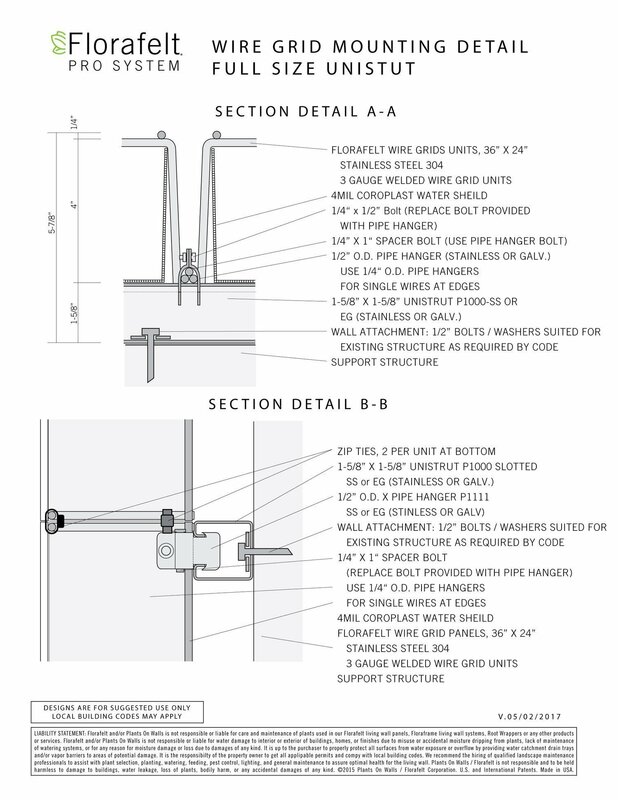 Smaller struts are good for attaching to an existing wall structure. They provide air gap. Each 3ft x 2ft grid requires one 15 yard roll of 6 inch wide grow strip for adequate coverage. Openings are slightly less than 6″ so the felt fits in snug. 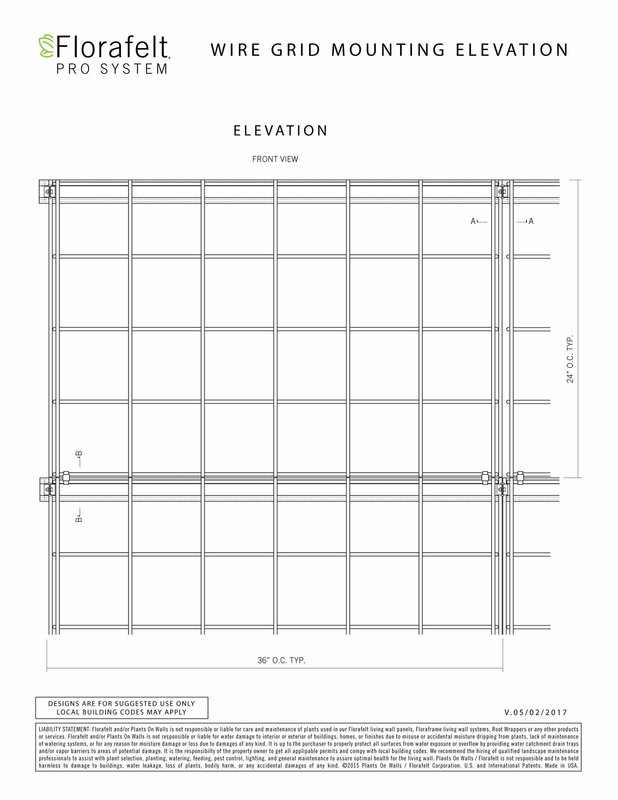 There are 24 openings in each grid and 24 root wrappers are included per each grid unit. Openings are sized to receive root wrapped plants. A full 6″ potted plant will fit in nice and snug. Or you can use two of the 4 inch potted plants per pocket. But also you can add a cup of soil and use just one 4 inch plant per pocket. You can save a lot on cost if you start with seeds, cuttings, or bare-root. Use elements below to create your architecture grade vertical garden structure.